One of the few hotels that has preserved its old-world charm, Mount Lavinia Hotel is a fine Colombo city hotel in Sri Lanka. Its origins can be traced to the British Colonial times, and its legacy is interwoven with romance. 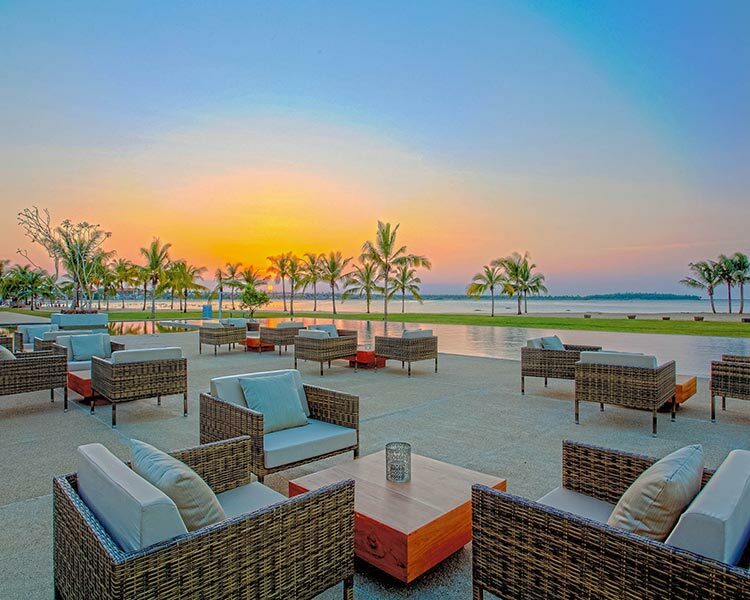 Elevating its beauty to a panoramic level, the hotel is placed by the shoreline of the Mount Lavinia beach. 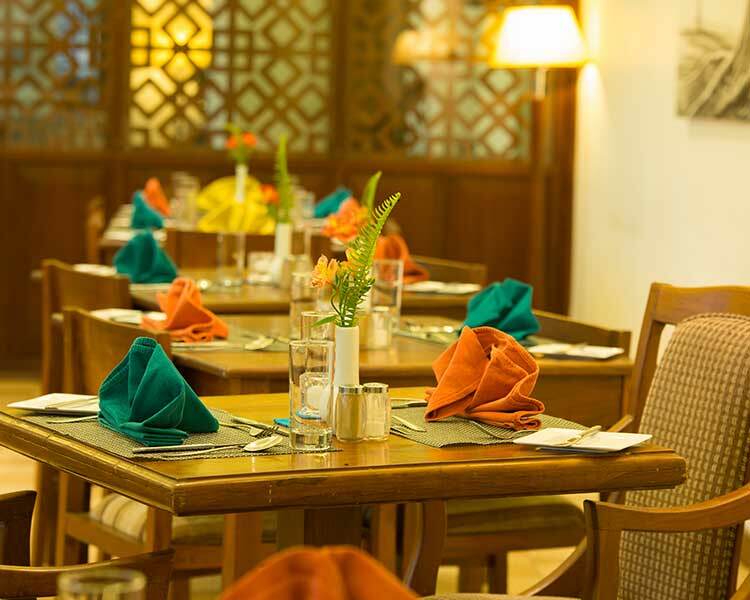 Maintaining over two hundred elegantly laid out rooms, the hotel is set to pamper its guests. 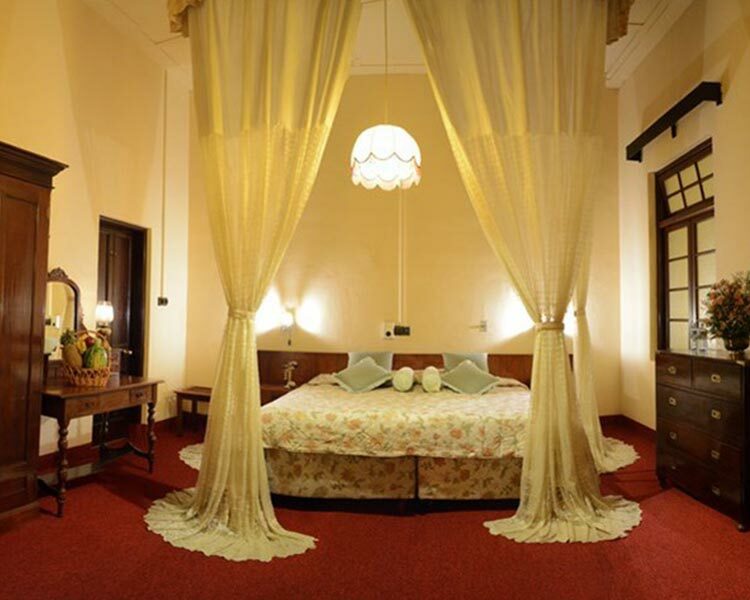 Immerse yourself in majestic glory at the Colonial Rooms. The opulent setting is refined with polished wooden flooring and wooden furnishing. Guests who wish to be spoilt by the coastal splendour of the region can choose to stay in the Ocean View rooms. Equipped with a balcony overlooking the gardens of the hotel and the sea, the accommodation is a lovely option for the honeymooning couple. In addition to the panoramic view of the ocean, the Direct Ocean View Rooms are finished with a lavishly decorated interior. 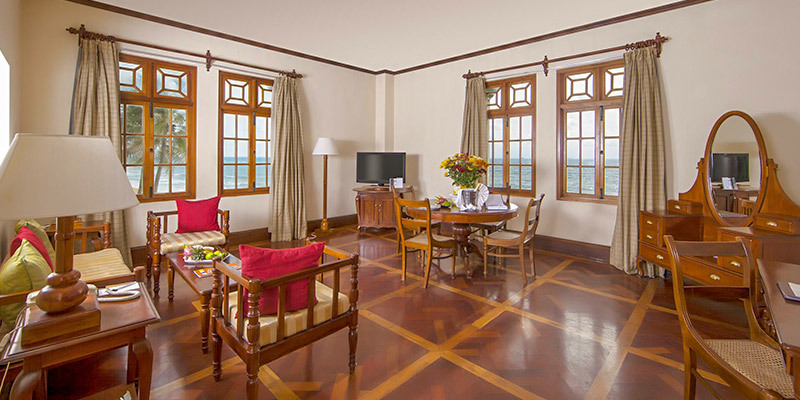 The suites at the Mount Lavinia Hotel are an upgraded edition of the rooms. 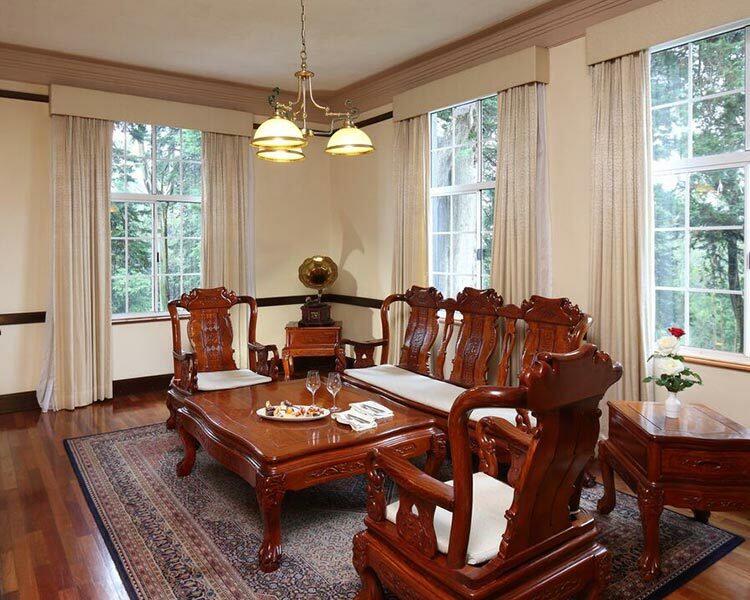 The Colonial Suite emulating an old mansion is a vast space fit for royalty. Encompassing a luxurious bathroom and modern amenities, the suite is a favourite amongst the local VIP. Tread barefoot on the polished parquet flooring of the Direct Ocean View Suites and relish the features of an exclusive accommodation. 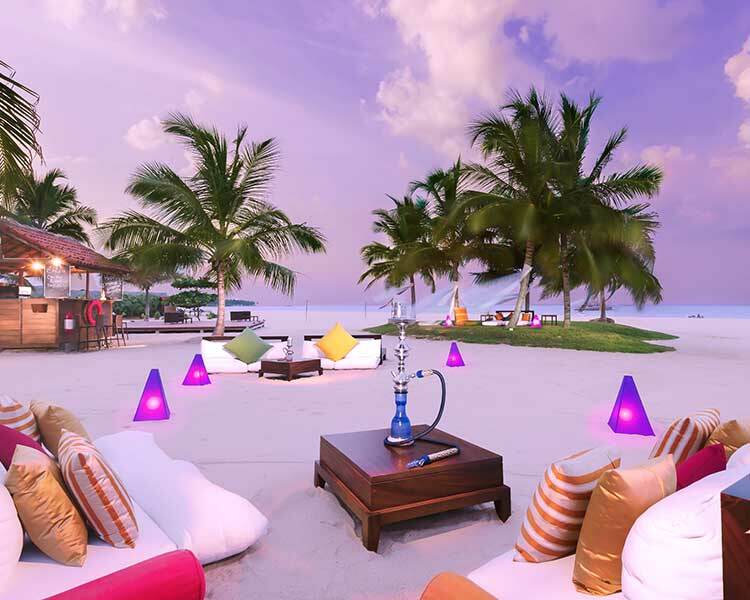 The coastal ambience comprising of the cool breeze and the raw scent of the sea is delicious treat for the international traveller. 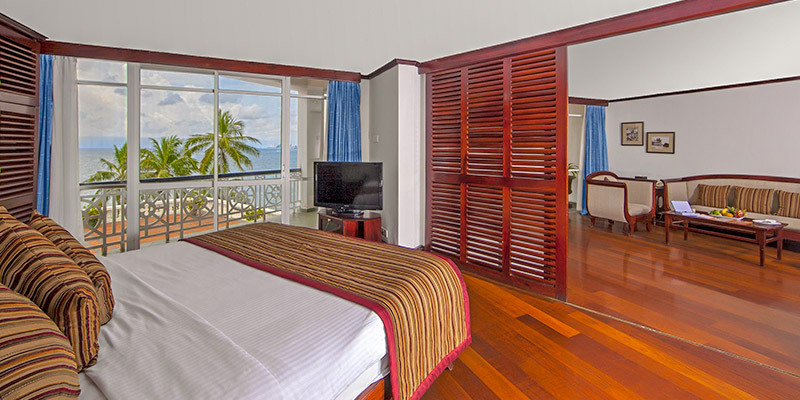 Combining spaciousness with your love for the sea, the Ocean Suite complete with a mini bar and lounge is a plush lodging for the selected visitor. Celebrating the triumph of serving scrumptious dishes while indulging the guests with a colonial aura, dining at the hotel is an event to remember. 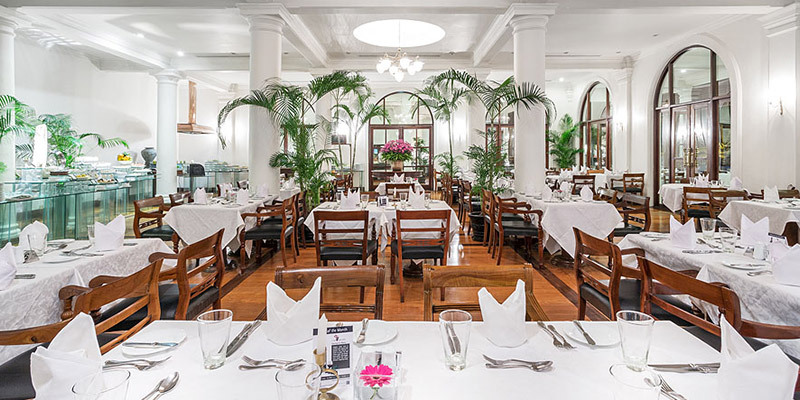 The Governor’s Restaurant indulges the global foodie with a variety international cuisine. 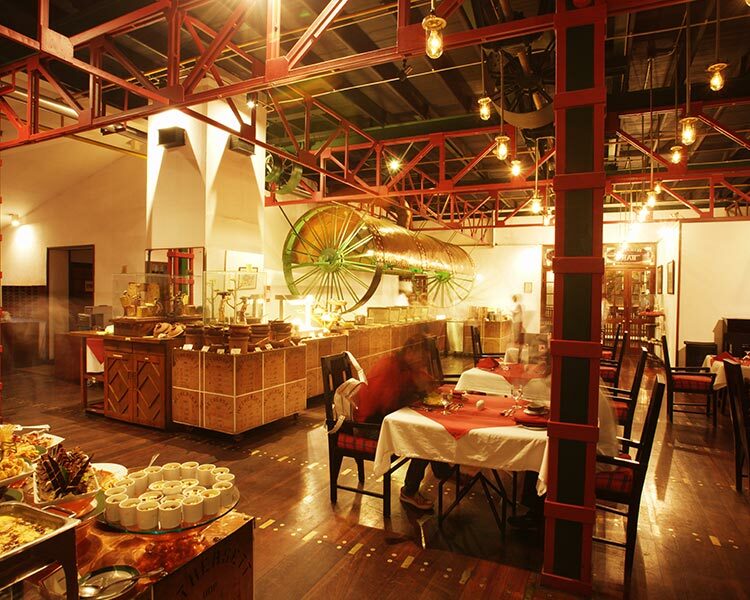 Savour Italian, Chinese, Sri Lankan, Mediterranean cooked to precision at the restaurant. Devour lobsters, prawns, cuttlefish, scallops freshly prepared at the Seafood Cove Restaurant. Add a little glamour to your stay and have a night out at the Lobby Lounge and Bar. Sip a punchy cocktail or unwind with a beer here at the bar. Found by the pool, The Terrace embraces the casual atmosphere of the surroundings while offering delicious meals and drinks. Date night with your loved one can be arranged at the Baywatch Tower. 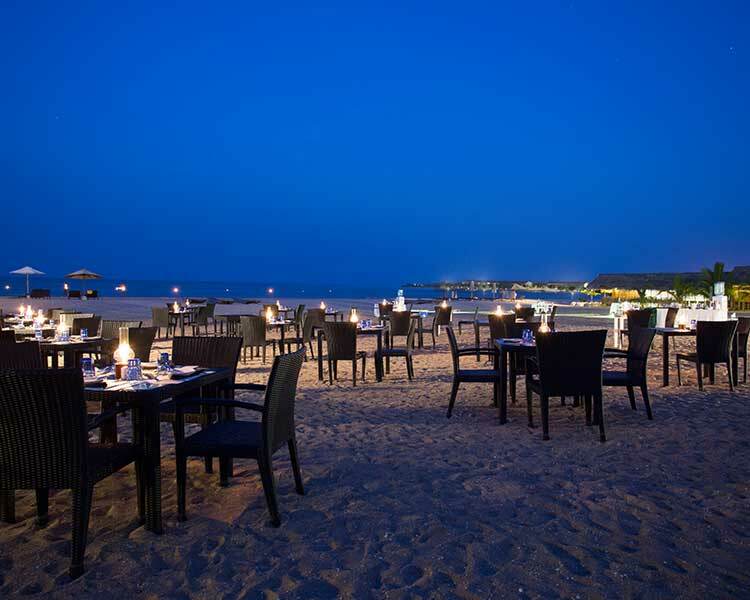 Private dining enjoyed to the rhythmic sounds of the waves reaching the shores is a mesmerising experience. 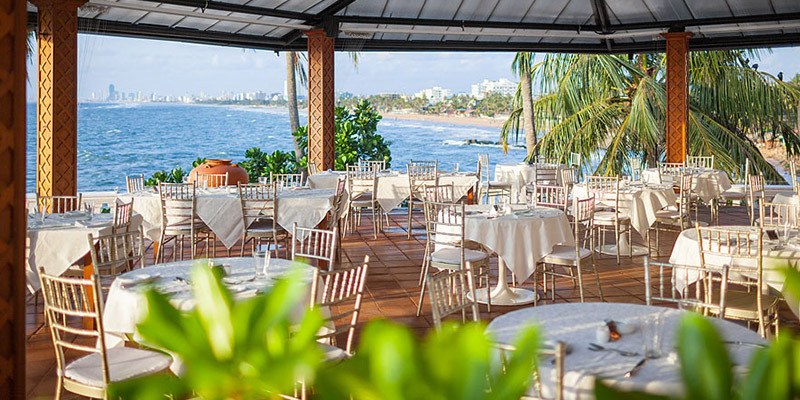 One of the most popular wedding venues in Colombo, the Mount Lavinia Hotel has been a favourite amongst the wedded for years. An exotic celebration or an intimate affair can be rejoiced by the beach or in their spacious banquet hall. Equipped with an experienced team, the most important day of your life is certified to be the best day of your life. Facilitating your business requisites, the business center at the hotel is armed with state of the art amenities. Supporting you with necessary tools such as wifi, projectors, stationary and more, successful conferences, presentations, lunches are effortlessly conducted here at the Mount Lavinia Hotel. Relax and Revitalise your mind, body and soul at the Cocospa. The open space includes a jacuzzi and is ready to unwind you completely. 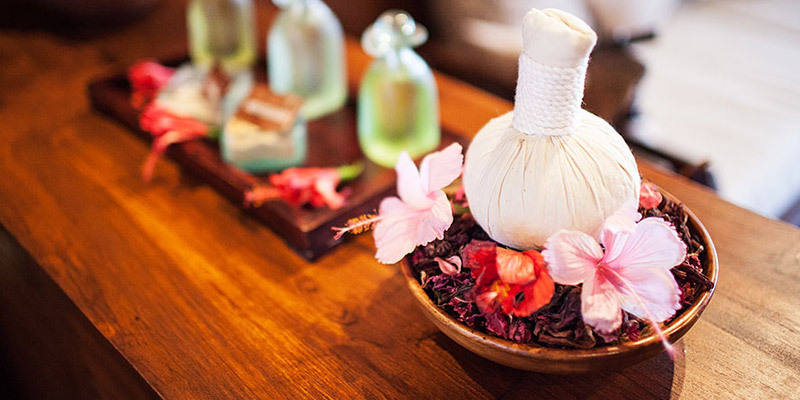 Rejuvenate yourself by taking a treatment at the spa. The skilled masseurs here at the spa utilising a high range of products offer a range of invigorating services. 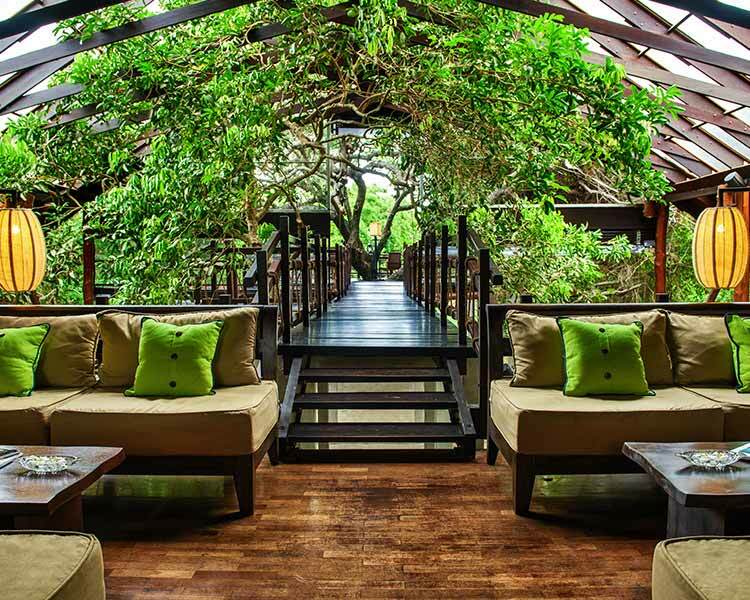 Knitting a romantic tale with an inherent colonial aura, the Mount Lavinia Hotel provides for a magical escape right here in the commercial capital.